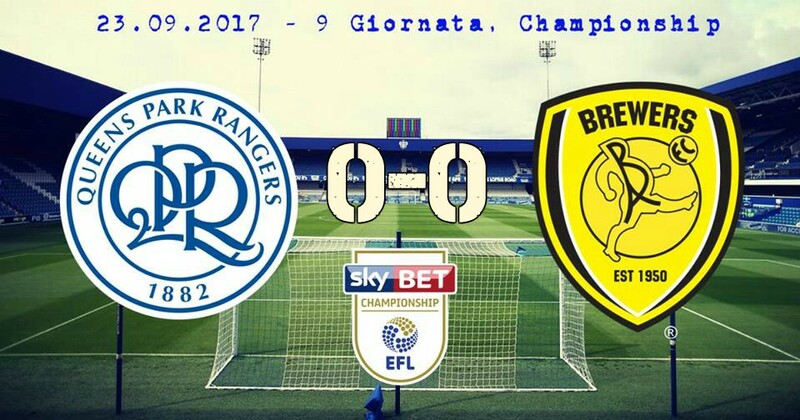 QPR (4-3-3): Smithies, Bidwell, Robinson, Baptiste, Furlong (45′ Smith), Freeman, Scowen, N’Gbakoto (45′ Osayi-Samuel), Mackie (70 Sylla), Washington, Wszolek. Panchina: Manning, Lynch, Lumley, Caulker. Burton (3-5-2): Bywater, Turner, McFadzean, Buxton, Warnock, Allen (75′ Akpan), Murphy, Akins, Brayford, Sordell (73′ Varney), Scannell (58′ Dyer). Panchina: Mason, T. Naylor, Flanagan, Ripley.